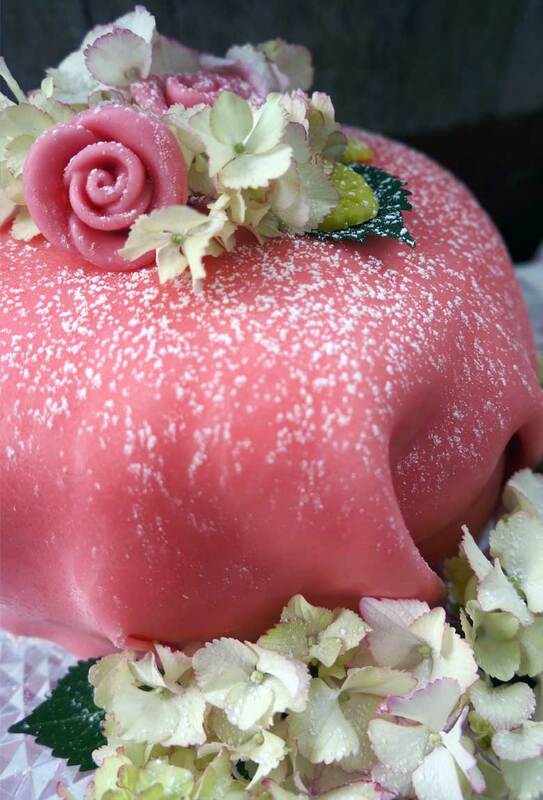 The classic Swedish princess cake is made of cake base, whipped cream and custard. It is coated with green marzipan, powdered sugar and often decorated with red roses made out of marzipan. The original recipe doesn’t contain jam, even though it is very common today. 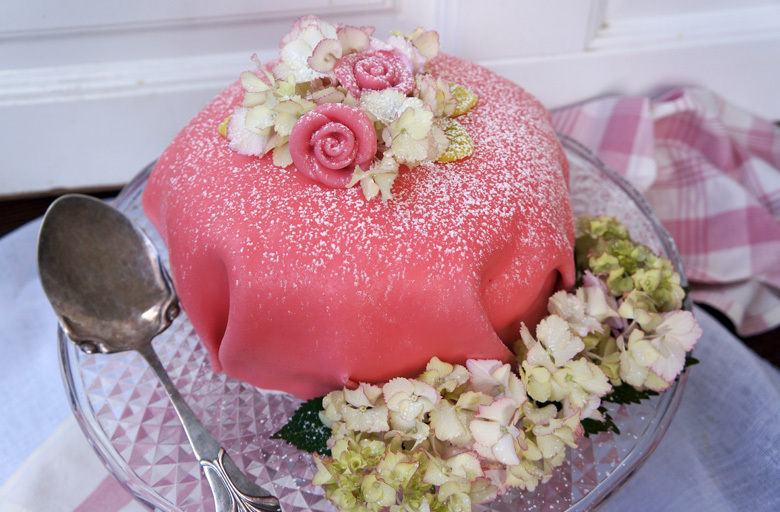 This is a very quick and easy version of the Princess cake, but it tastes fantastic and it is absolutely perfect when you don’t have the time to go all out. Use freshly picked flowers for beautiful decoration. When the cake is covered with yellow marzipan it is called Prince cake. Spread jam and custard evenly over two layers of the cake base. Top with the third layer of the cake base. 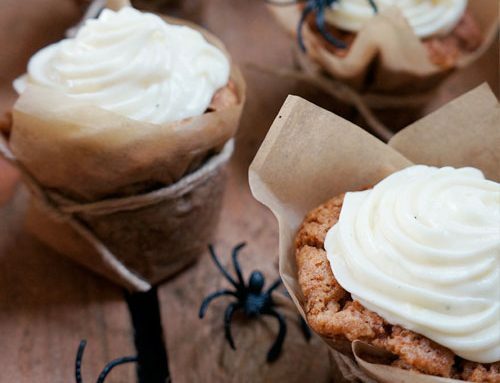 Cover the whole cake with a thick layer of whipped cream. Place the marzipan cover over the whole cake. Make a nice round form and with a knife, remove the rest of the marzipan.